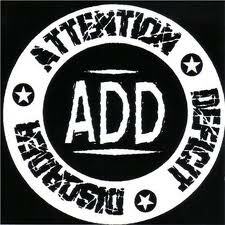 ADD also has a subtype which includes hyperactivity (ADHD). It is a treatable (note not curable) complex disorder which affects approximately 3 to 6 percent of the population (70% in relatives of ADD children). 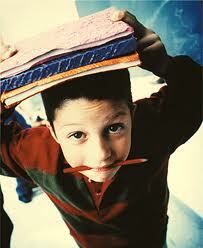 Inattentiveness, impulsivity, and often times, hyperactivity, are common characteristics of the disorder. Boys with ADD tend to outnumber girls by 3 to 1, although ADD in girls is under diagnosed. ADD without hyperactivity is also known as ADD/WO (With Out) or Undifferentiated ADD. 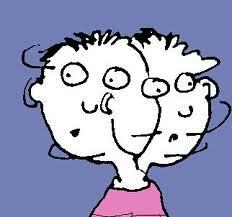 Recent literature proposes 2 subtypes of ADHD, Behavioral and Cognitive (being split 80/20). The list above is taken directly from the American Psychiatric Association's (APA) latest "Diagnostic and Statistical Manual of Mental Disorders (DSM-III-R). To qualify for a diagnosis of ADHD, a child must exhibit 8 of these for a period longer than 6 months and have appeared before the age of 7 years. However, you don't have to be hyperactive to have attention deficit disorder. 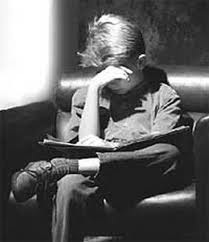 In fact, up to 30% of children with ADD are not hyperactive at all, but still have a lot of trouble focusing. What other names has this disease been known by? Minimal brain dysfunction (MBD) and hyperactivity (hyper-kinetic) or (in Britain) conduct disorder (not the same implications as the North American reference in the DSM-III-R). Genetic/Hereditary (strongest correlation) Brain damage (head trauma) before, after and during birth (twice as likely to have had labour & gt; 13hrs) Brain damage by toxins (internal bacterial and viral, external fetal alcohol syndrome, metal intoxication, eg. lead) Strongly held belief by some people (including at least one book Feingold's "Cookbook for Hyperactive children") that food allergies cause ADD. This has not been proven scientifically. One book states 20% outgrow it by puberty but other problems can interfere. ADD that lasts into adulthood is referred to as ADD-RT (Residual Type). Are there other complications of this disease? What treatment is there for ADHD? What are some controversial ADD Treatments? The changing of a child's diet to prevent ADHD. Conclusion: No scientific evidence of effectiveness. vitamins and/or minerals to treat ADHD. Conclusion: No scientific evidence of effectiveness.
. 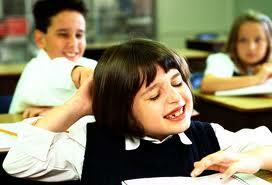 The advocates of this believe that a relationship exists between ADHD and the inner-ear. Conclusion: No scientific evidence of effectiveness. What medications can be used in treatment? Note none of these (listed in other) have been extensively studied for use with children. Although caffeine is a stimulant it does not focus specifically enough in the areas of the brain to be effective. The dose required to be effective introduces too many negative side effects. What are some myth-conceptions about ADD? Note: This section was lifted from an article published in the Fall 1991 Chadder titled 'Medical Management of Children with ADD Commonly Asked Questions' by Parker et al. Research clearly shows that there is continued benefit to medication for those teens who meet criteria for diagnosis of ADD. Although the dose of medication may need adjusting from time to time there is no evidence that children build up a tolerance to medication. There is no evidence to indicate that ADD medication leads to an increased likelihood of later drug addiction. The fact that a child shows improvement of attention span or a reduction of activity while taking ADD medication does not substantiate the diagnosis of ADD. Even some normal children will show a marked improvement in attentiveness when they take ADD medications. ADD medications may cause an initial and mild slowing of growth, but over time the growth suppression effect is minimal if non-existent in most cases. There is no evidence of increased medication taking when medicated ADD children become adults, nor is there evidence that ADD children become addicted to their medications. When self-esteem is encouraged, a child taking medication attributes his success not only to the medication but to himself as well. Note this section was lifted from an article published in the Fall 1991 Chadder titled "Medical Management of Children with ADD Commonly Asked Questions" by Parker et al.